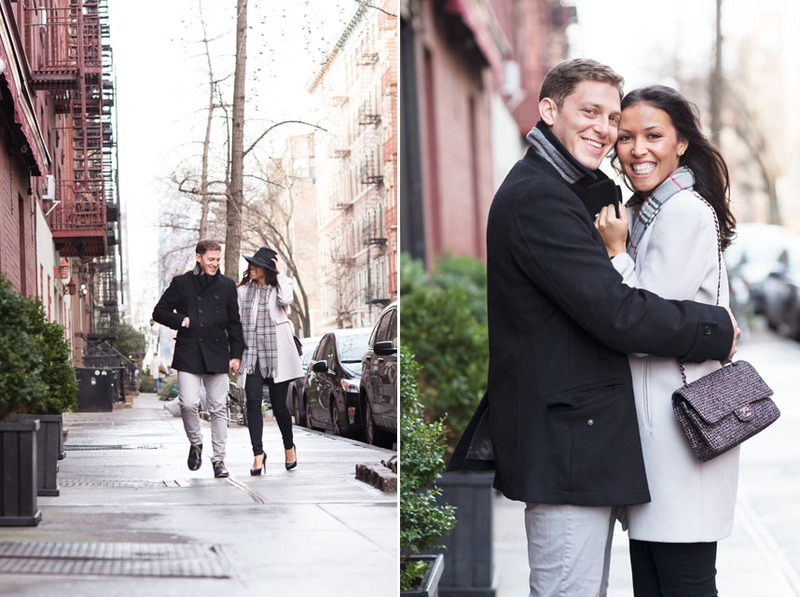 Photographing engagements in NYC is always a blast for us. Its fun to meet clients and work with them on a small shoot before their wedding. Monica & Oded reached out to have engagement photos taken for their save the date. 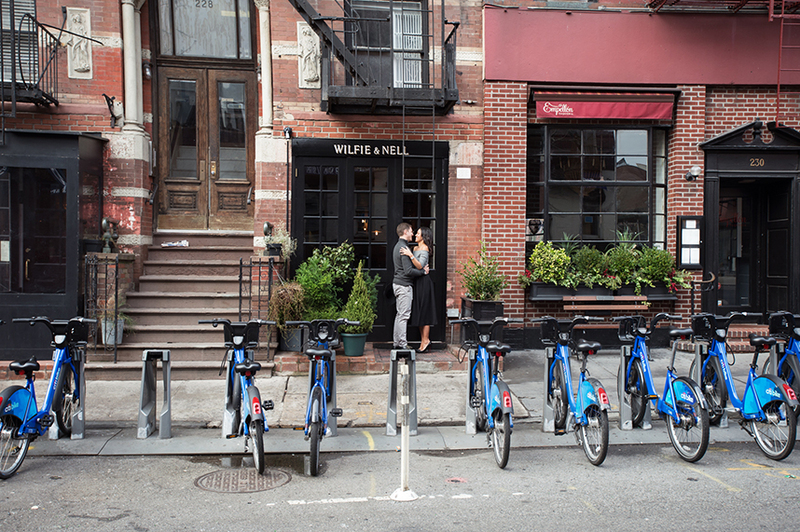 Monica & Oded had their first date at Wilfe & Nell — a cute little bar in the West Village. They hit it off instantly and talked so much on their way home to Hoboken they skipped the Christopher Street station and walked all the way to the WTC PATH. Looking back on their first date Monica & Oded wanted to shoot their engagement at Wilfe & Nell. The team at Wilfe were so cool to open the bar a bit early before Saturday brunch so we could shoot there. We shot some cute photos against the bar’s rustic backdrop and then decided to walk around the village and find some cool areas to shoot around. While we were walking to a park on Hudson we took a few photos on a quaint area of Bedford St. Because it is a historic area there are always loads of tour groups around. We caught a fun photo of Monica & Oded in the middle of Bedford Street with the entire tour group scoping our shoot. 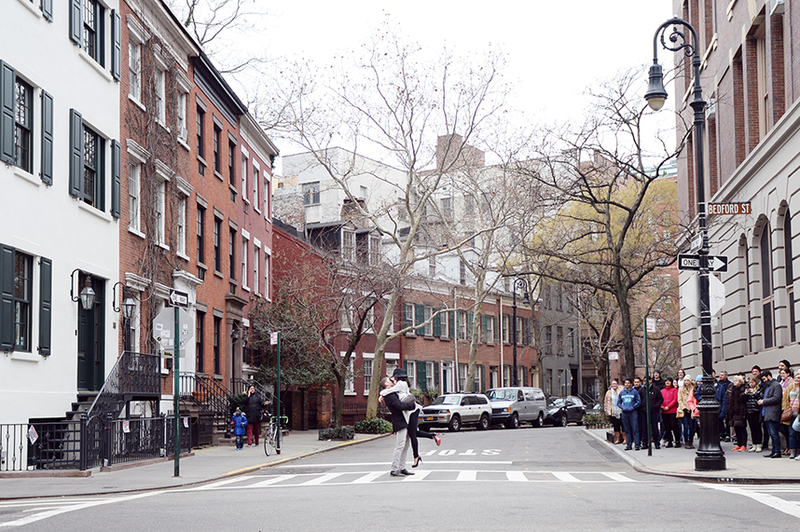 In keeping with the theme, we ended the shoot at the Christopher St. PATH — almost retracing Monica & Oded’s first date. We had such a fun time walking around the city with Monica & Oded. We could not think of a better way to spend a warm weekend morning in January!